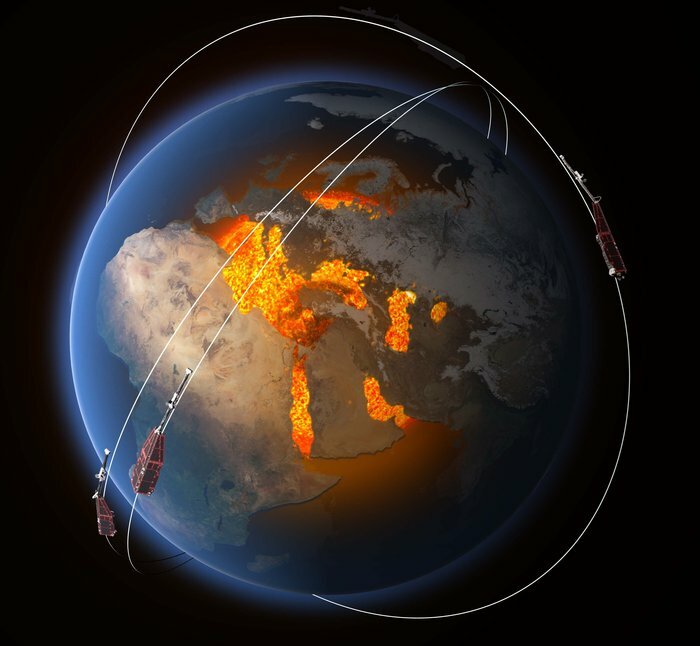 May 10, 2016 – With more than two years of measurements by ESA’s Swarm satellite trio, changes in the strength of Earth’s magnetic field are being mapped in detail. 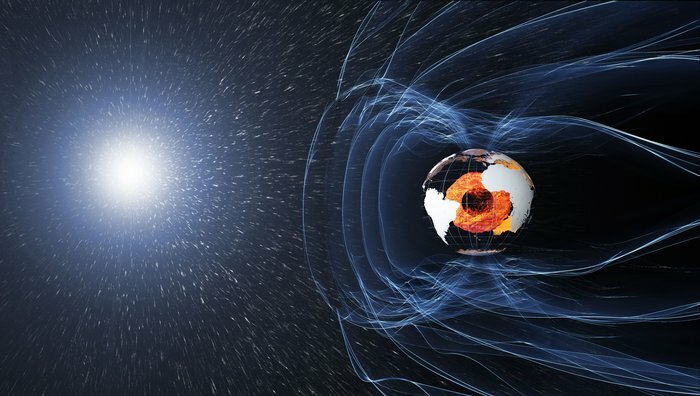 Although invisible, the magnetic field and electric currents in and around Earth generate complex forces that have immeasurable effects on our everyday lives. The field can be thought of as a huge bubble, protecting us from cosmic radiation and electrically charged atomic particles that bombard Earth in solar winds. However, it is in a permanent state of flux. The animation above shows the strength of Earth’s magnetic field and how it changed between 1999 and May 2016. It shows clearly that the field has weakened by about 3.5% at high latitudes over North America, while it has strengthened about 2% over Asia. The region where the field is at its weakest – the South Atlantic Anomaly – has moved steadily westward and weakened further by about 2%. In addition, the magnetic north pole is wandering east, towards Asia.